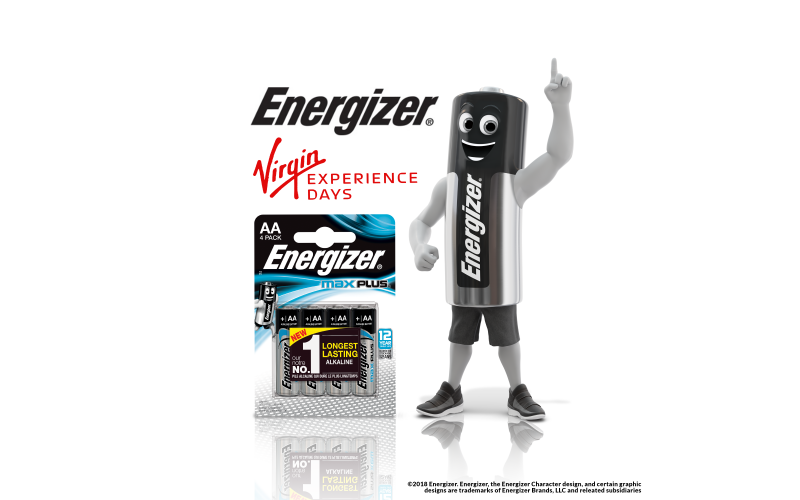 Win a drone and batteries with Energizer! Energizer® is introducing new Energizer® MAX PLUS™, the brand’s best performing, longest-lasting AA alkaline batteries ever to power the devices you use most. To celebrate the launch, Energizer® is offering one lucky winner a prize package to power up and live life at full capacity. The winner will receive their own drone and a remote control car to boost their family’s adrenaline levels! They will also win ten packs of Energizer® MAX PLUS™ batteries and an Energizer® Power Bank – perfect for powering their devices both at home and on the move. Energizer® MAX PLUS™ AA batteries are the brand’s No. 1 longest-lasting AA alkaline batteries, and they hold their power for up to 12 years in storage. The new AA batteries also feature the leakage protection you have come to expect from Energizer® (in-device leakage protection from fully used batteries, up to 2 years). The new TV advert for Energizer® MAX PLUS™ stars Mr. Energizer™ and shows that, thanks to his long-lasting energy, he can’t stop moving! The director then comes up with the idea of Mr. Energizer™ running on a treadmill to keep him in one spot for the perfect take.